Morris Minute Podcast gives you all the marketing secrets you need to know in one minute or less from marketing maven, Valerie Morris! You can easily fit in all of this marketing knowledge into your hectic schedule. 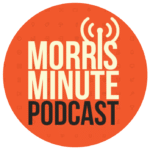 Subscribe to Morris Minute Podcast on iTunes below!